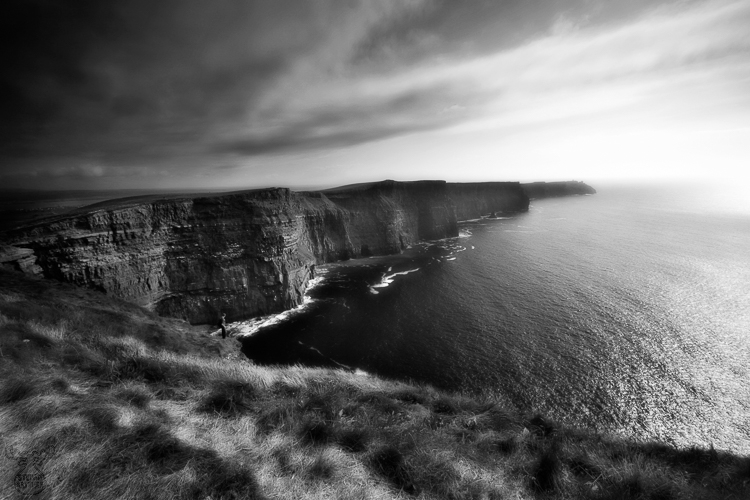 A rather super-touristic place in Ireland are the Cliffs of Moher in County Clare. During normal daytime, busses and cars are fighting for their space on the large parking-lot, and the walk up to the coastline with it's majestic 214m high cliff panorama will never feel lonesome. But the view is worth the while. This is another one from the Irish black-and-white line, which I feel fits to the country.